If there’s such a thing as a walking trail hub, then Winchester is one of them. 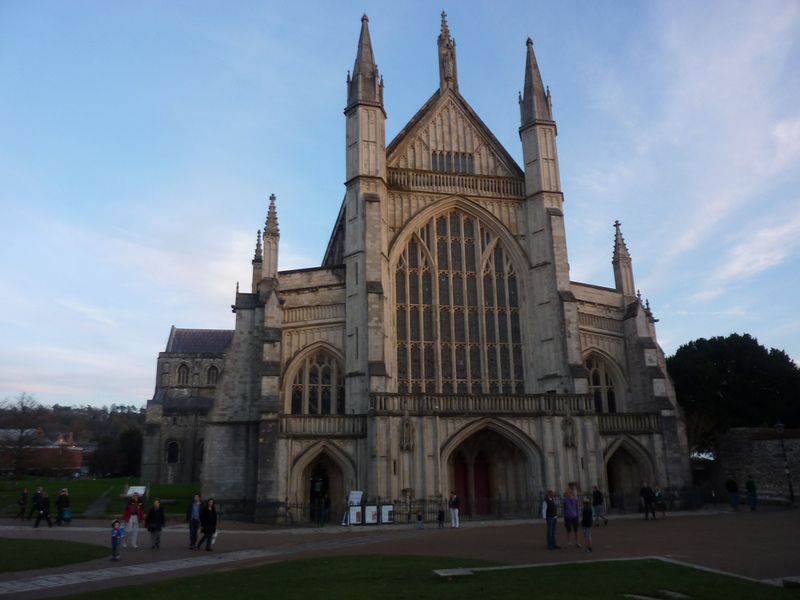 At least three trails converge on Winchester Cathedral – the South Downs Way, the Clarendon Way and the St Swithun’s Way. And there’s probably more. Connecting them all together enables you to create some sort of fantasy walk. Want to walk all the way from Salisbury to Eastbourne? And you can probably go further too. But whilst you’re pondering the options at the hub, take a moment to admire the mighty building you’re stood next to. Winchester Cathedral. A dramatic building, even in this day and age when mighty skyscrapers can fill the skyline. And then when you’ve finished admiring, head off to the countryside and admire that instead. First Published: 7 December 2014. Last Updated: 9 January 2015.